How to step up your gratitude game in 5 minutes. Gratitude has changed my life. I’ve always known I had much to be thankful for but I chose the implied appreciation approach. When I’d hear someone mention the importance of gratitude, my eyes would roll back and I’d think, oh plllleeaaaassse... I’m totally grateful. You don’t have to tell me to count my blessings. Until I stepped up my gratitude game. I finally heard enough talk about the benefits of gratitude that when my friend gave me a journal for my birthday, I decided to put it to the test. For the last six months, I've been writing away. In the mornings, I fill out the first half of the page, set my daily intention and create a mantra. If that's all I get to, I'm happy. But if I'm on a roll, I return before bed to jot down an amazing thing that happened to me that day. That's it. Daily gratitude done. Mic drop! My 5-Minute Gratitude Journal holds me accountable. It offers me 5 minutes (and really, that’s all it takes) of reflection. It doesn’t expect anything from me. It challenges me when I come up empty and holds my truth for me when I’m feeling vulnerable. It gives me courage and hope. But most of all, it allows me the space to reflect on the little parts of the day that I would have normally overlooked: the smile from a stranger, my kids laughing in the pool, my new facial moisturizer. 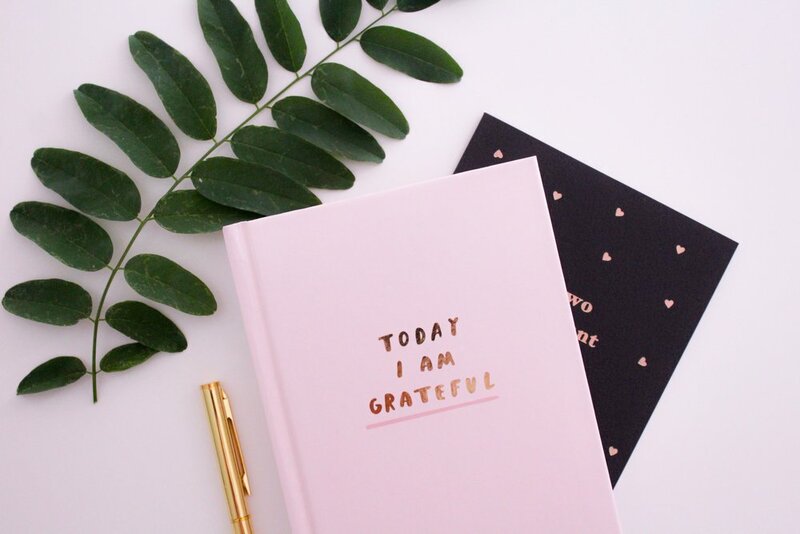 This gratitude journal is one of the eight books that have impacted my life. Want to read about the other seven? Sign up for my free PDF and download a copy of the 8 Books that will turn your overwhelm into empowerment.